This tour takes place in November 2020. If that doesn’t suit your plans, see our similar tours in May 2019, November 2019 and May 2020 or contact us to ask about a private tour to suit your time, interests and budget! Join Cuban Pioneers to celebrate with the Cuban people the quintessential person of the Cuban revolution, Ernesto “Che” Guevara, and join YPT for our specialist FARC tour of Colombia. This takes us through the capital Bogota to the former cocaine capital of Medellin, and finally the colonial town of Cartagena, with us checking out a whole host of FARC related stuff, indigenous peoples, and stunning nature along this 9-day adventure. Our trip starts in Old Havana, before we go off to the Bay of Pigs, the mausoleum of “Che”, where we not only see his final resting place, but the legendary train that he derailed, as well as take part in the celebrations of his life, before visiting Trinidad, after which we return to Havana, where we not only take in iconic places such as the revolutionary museum, but also continue with our Che based theme by visiting the San Carlos de la Cabaña, where Che held his office (and shot people sentenced to execution). 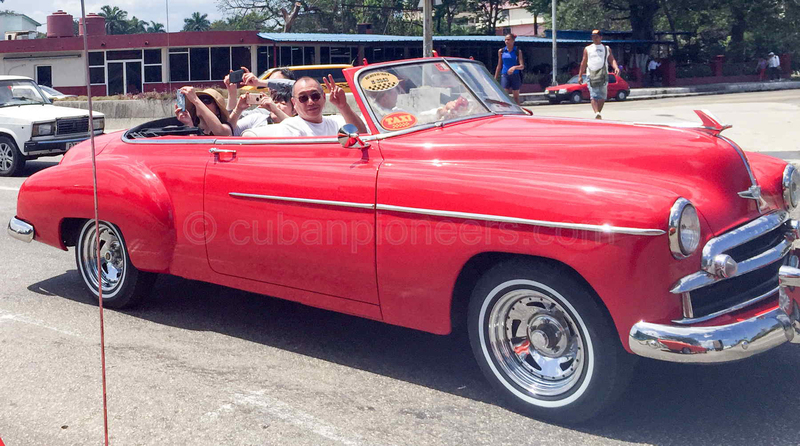 For those familiar with YPT’s DPRK tours, we stick with the revolutionary theme of these but also incorporating the much more relaxed environment that Cuba offers us by giving ample time for free exploration as well as providing a great chance to party the night away as much as you wish. 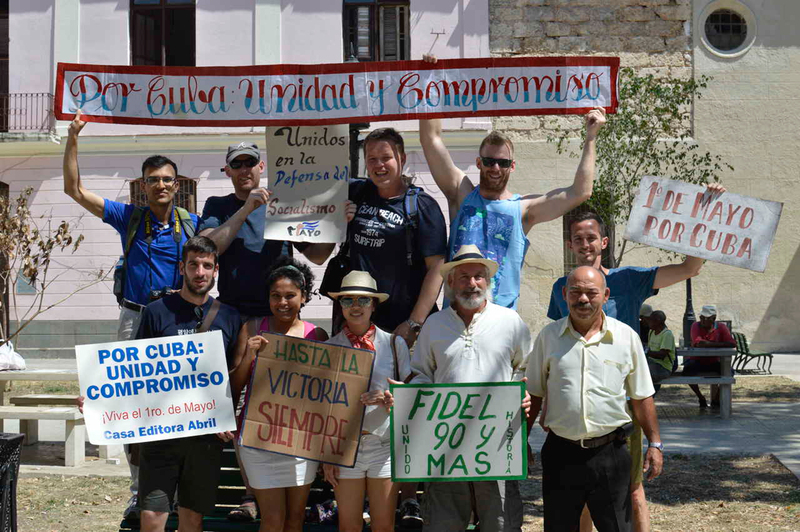 The tour is accompanied by YPT’s local representative and Cuban guide, as well as one western guide, and our very own bus that will stay with us for the duration of the journey, meaning lots of flexibility and chances to get very off the beaten Cuba track. 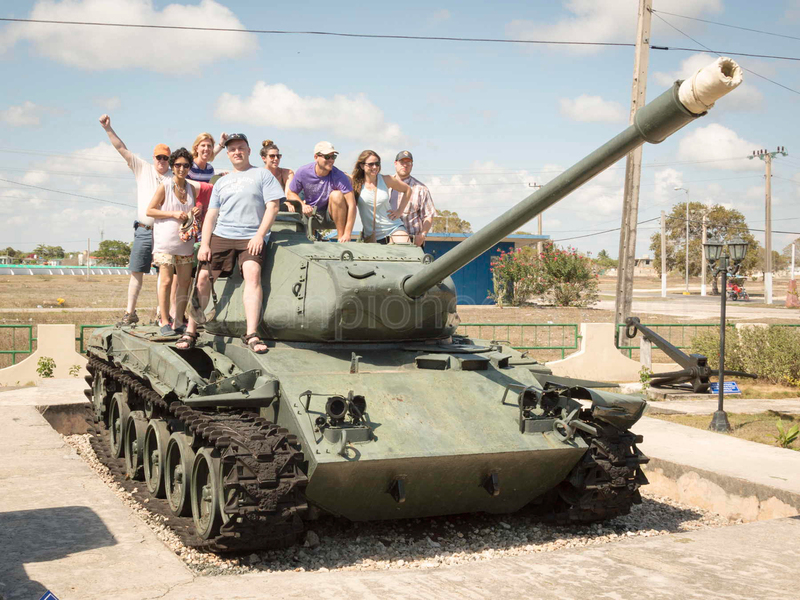 This tour also includes the Viñales extension gives you the opportunity to visit some extra sights in Havana, including the secret bunker where the nuclear missiles that precipitated the Cuban Missile Crisis were stored, and the upcoming town of Viñales in the Pinar del Rio Province. We’ll explore the sights and the nightlife, including Cuba’s second famous cave nightclub! Colombia might have had a chequered past, with landmines, and the remnants of the civil war and organised crime still very much omnipresent, but it is slowly waking from its past and hitting the challenges of reform head-on. Join our adventure before either of these countries is changed forever! On the way to Cienfuegos we firstly travel along the flat central plain of Cuba where there are lots of citrus plantations. We turn off the main highway and shortly after this the scenery changes to a densely vegetated swamp where the natural fauna includes boa snakes and crocodiles. We have the opportunity to visit a crocodile farm here at Boca de Guamá. Today we visit the museum here that recounts the events of this conflict which resulted in the first defeat of a US-backed takeover in Latin America. There are some beautiful places to stop for a swim along the way including a sink hole which resembles a huge natural tropical fish tank, so make sure to pack your swim wear. SCUBA diving and snorkelling are optional activities here. After checking-in with your host family, you will have a short time to walk around the city and take in the atmosphere. Go with the guide or explore on your own. Morning – walking tour around Cienfuegos. Visit the historic Teatro Tomás Terry. We head off on our walking tour of Trinidad. La Villa de la Santisima Trinidad was founded by Velazsquez in 1514 and the defender of indigenous rights in the Americas, Fray Bartolome de Las Casas, attended over the settlement’s first mass. The future conqueror of Mexico, Hernan Cortes, recruited sailors here for his future expedition into that land. It is a charming, small town with the green mountains in the background, and the turquoise waters and pure white sand beaches of the Caribbean Sea just a short distance away. The town was fairly inactive until the 1800s, when French refugees fleeing a slave revolt in Haiti landed here en masse and brought with them sugar cane cultivation. The new residents settled and farmed in the Valle de Los Ingenios, just northeast of the town. Vast wealth flowed into the local economy from sugar cane cultivation and the area produced one third of the country’s sugar at one point. The sugar boom was terminated by the two wars of independence, but the wealth generated by the industry remains visible in the town’s once grand mansions, colourful public buildings, wrought iron grillwork and cobble-stoned streets. The town and area also saw a lot of action during and following the triumph of the Revolution, as gangs of counter revolutionaries hid out and struck from the safety of the mountains. Visit to The Museo Nacional de la Lucha Contra los Bandidos and the which chronicles the struggles of this period in the town’s history. The best part is the view from the tower! Dinner in a local top private restaurant. It’s optional but we very strongly recommend a visit to the unique and (in)famous Disco Ayala, an nightclub in an underground cavern! 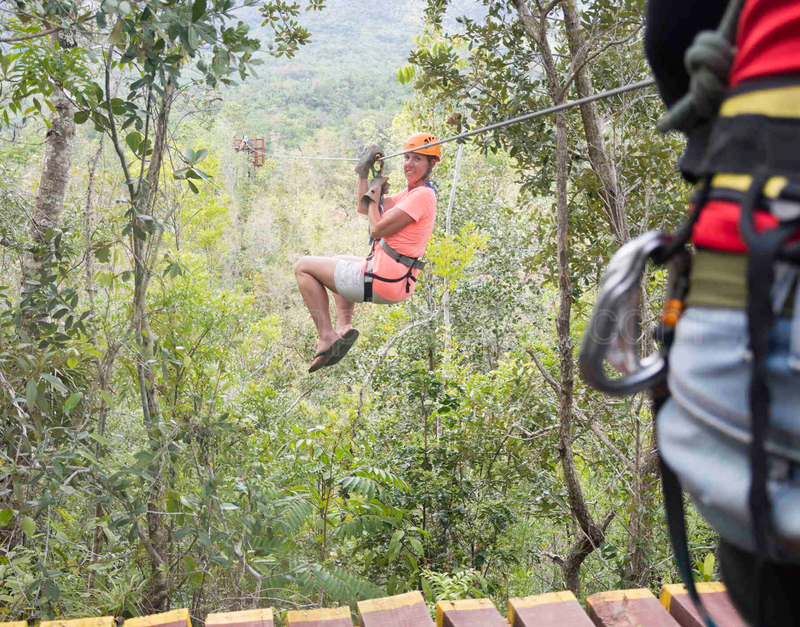 Suggested activities: trip to the beautiful Valle de los Ingenios in the morning (by classic train ($10), if it’s working), followed by afternoon horse riding or salsa dancing. 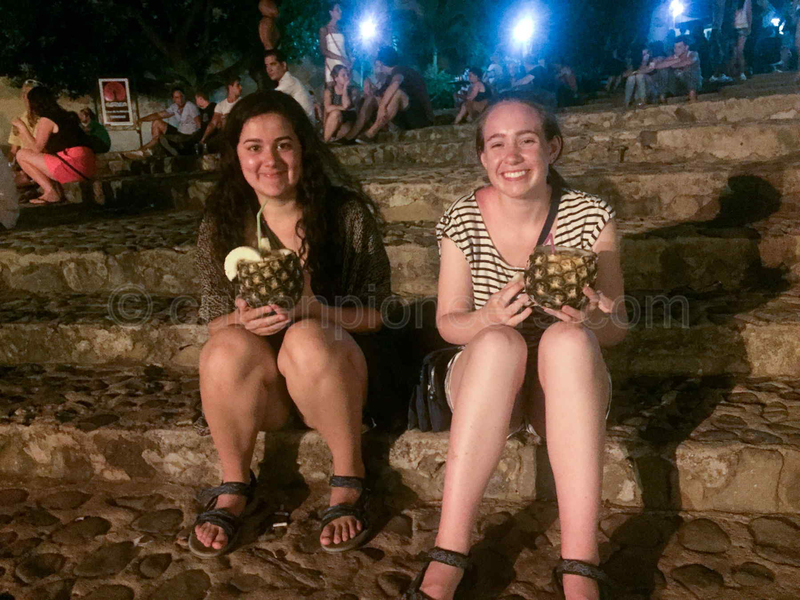 Other possibilities include a visit to the beach (Playa Ancón), salsa dancing lesson ($25) or just exploring the city. Today we travel to the city of Santa Clara, which was a key city in the triumph of the Revolution. Depending on road conditions we can take a number of different routes around or through the Sierra del Escambray perhaps making a few stops along the way. Upon entering Santa Clara there is a huge statue of Ernesto Ché Guevara, beneath which is the mausoleum where he is buried. We visit the museum here that is dedicated to his life. 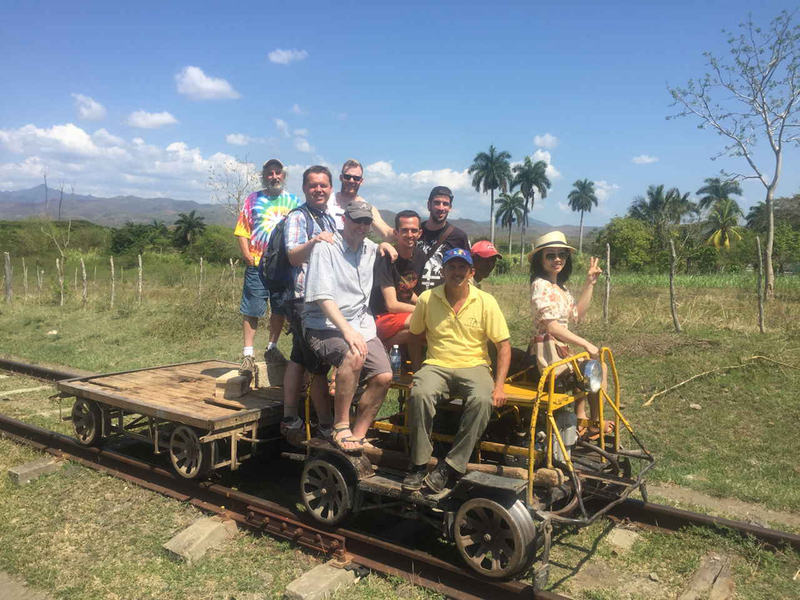 We take a walking tour of Santa Clara where we come across significant sites such as the armoured train derailed by Che and his troops, in the final battle of the Cuban revolution. Dinner and optional evening of local music. We head back to Havana in the morning, stopping at open air October Crisis museum overlooking Havana bay, featuring Soviet nuclear missiles (thankfully now inert!) of the period in 1962 when the world came closer than ever to the brink of nuclear war. Visiting San Carlos de la Cabaña fortress where Che had his office. City tour of Old Havana, encompassing the Plaza de las Armas, complete with a statue of Manuel de Cespedes, one of the leaders of the independence movement. We pass the spot where the city of Havana was founded almost 500 years ago. We pass the open air exhibit of the Museo de la Revolución to see the yacht Granma and learn about its importance in Cuban history. Afternoon free time for some rest and relaxation or to wander some more. Optional but very strongly recommended visit to Fábrica de Arte Cubano (FAC – Cuban Art Factory, $2). This is one of the coolest art and night venues in the world right now. We aim to leave at 11.00 am, depending on Cuban bureaucracy! Our first stop is Lenin Hill, which is where the first ever statue of Lenin was erected following his death, this is very derelict and not at all touristy! #TRIP HIGHLIGHT# We now visit the incredibly secret bunker where the Soviet Union stored the nuclear weapons that precipitated the Cuban Missile Crisis. This site is of extreme historical significance and was only recently discovered. This is not on the tourist trail! Viñales is famous for its stunning caves, with a number being big tourist attractions, we avoid them like the plague grab our local guide and head to a cave that is (currently) relatively unknown. It takes an hours hike and then heading through the cave network with lights before we hit the swimming part of the adventure. Truly stunning, so don’t forget the go-pro! We finish our last night in Viñales with an authentic home cooked Cuban meal at our casa. Free time in the morning in Havana. Head to the airport for the flight to Bogotá (3 hours). Beer and explosives go together like peas and carrots, so we finish our first night in Bogotá by playing the local traditional sport of tejo, which is literally throwing iron balls at explosives while drinking beer. Great stuff! Bogota is famous in Colombia and beyond for its fabulous street food, so we take a staggered street food lunch trying almost everything they have on offer, including Mick Jagger’s favourite “oblea”. 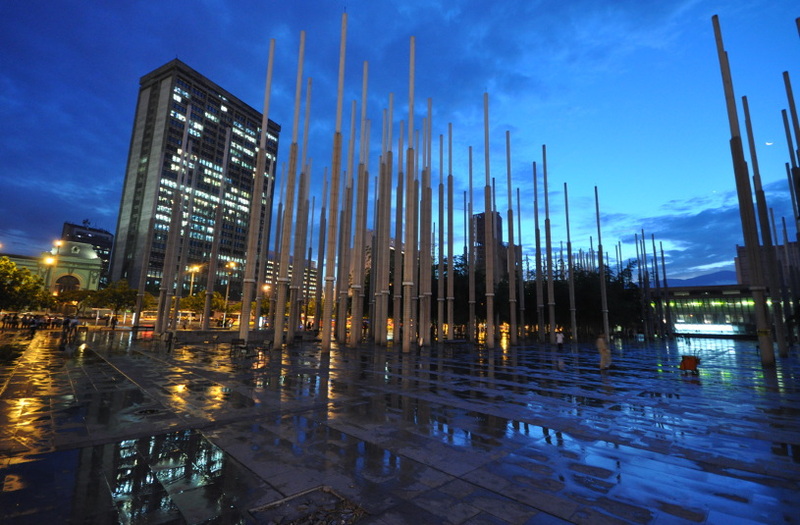 Bogota has now shaken off its image of danger, and is a vibrant place for a night out, so we head to one of the many bars for dinner and drinks. Following a full day of hiking and relaxing on the beach, we head to our eco-resort, surrounded by fresh fruit trees, and a swimming pool for us to relax in. We now embark on the 3.5-hour drive back to the cloud city of Medellin, where if we are lucky we will get to stop and witness one of their famous sunsets. 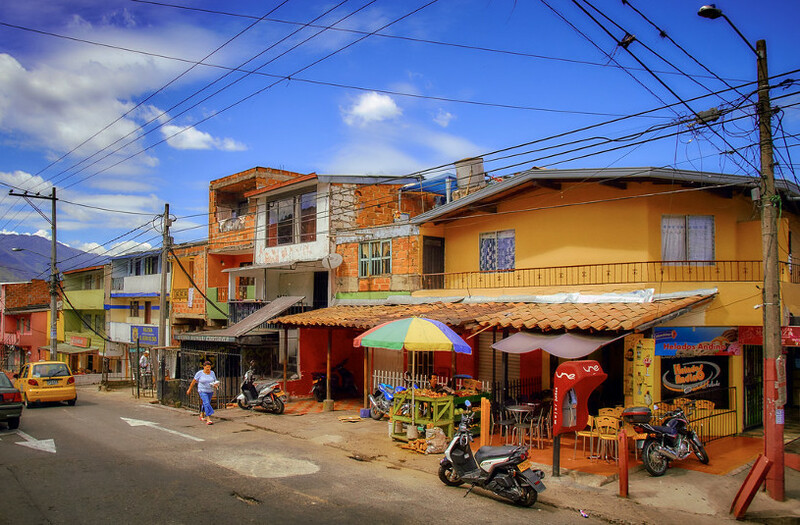 After lunch, we head for a city tour of Medellín, with our first stop being riding the legendary cable-metro, which again offer great views of the city, particularly the poorer parts of it. Visit Santa Clara and see the huge statue of Ernesto Che Guevara, beneath which is the mausoleum where his remains are buried. We stop at a genuine tobacco farm to see the process of how farmers make the world’s most famous cigars, and for the adventurous try a little of the produce ourselves. Tour of Bogotá and all the important sites of the war between the government and FARC – the Marxist rebels. •Accommodation: Every night of the tour. •Transport: To complete the itinerary. •Breakfasts: for each day of the tour, except the arrival day. •Experienced, western Cuban Pioneer guide throughout.